If a child has reduced vision they may be struggling to read the board or books at school which could impact on their learning. If a child’s vision is found to be reduced they will be advised to see an Optometrist as they may require glasses. If a child has poor binocular functions it can cause blurred or double vision whilst reading. We can treat this with Orthoptic exercises. If a child has reduced convergence or accommodation it may cause blurred or double vision whilst reading. We can treat this with Orthoptic exercises. Whilst reading we need to track across the page and to the next line below. To do this we use small eye movements called saccades. If these eye movements are inaccurate it may cause a child to skip lines/words out whilst reading and they may struggle to keep their place on the page. If we find a child struggles with theses eye movements we can give some exercises to try and improve this. Visual stress is when a child/adult struggles to read black writing on a white background. This can cause visual symptoms whilst reading e.g. words jumbling on the page or distortion of print. If a child reports any signs or symptoms of visual stress the Orthoptist will then perform an overlay assessment. A coloured overlay can help to reduce these symptoms and may improve reading comfort, speed and fluency. Approximately 60% of children who are struggling at school may need a coloured overlay to help relieve symptoms of visual stress. There are 7 areas of your visual perception skills. Visual discrimination, visual memory, visual spatial relations, visual form constancy, figure ground skills and visual closure. If you struggle with any of these skills it can affect your learning in various ways. Visual Discrimination- you may misread similarly spelt words or confuse b’s and d’s. If we find a child struggles with a particular area we have information booklets with examples of puzzles and games to help a child improve in area of visual perception. Any visual problems present will be identified and treated accordingly by our team of specialist Orthoptists. Statistics show that 80% of children who have problems with learning will have a problem that an Orthoptist can treat. On average, each child is seen approximately 4 times prior to discharge but this will vary with each individual. If we find a child requires a coloured overlay we ask the school to purchase the child’s colour and follow several recommendations. We are based at Warrington Hospital and hold clinics at both Warrington and Halton Hospitals. 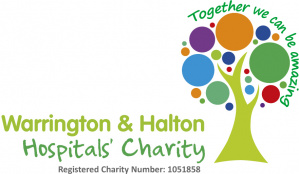 The buildings at Warrington and Halton are both fully accessible in line with hospital policy. We see patients from Warrington, but we also receive referrals from areas such as Manchester, Northwich and Stockport. We provide a comprehensive; NHS funded service to any school age child across the North West provided they meet the referral criteria (see later). We are able to assess children who are age 7 and above. We also occasionally see adults. After the initial assessment a detailed report is sent to all the professionals involved in the child’s care. For example; parents, school, referrer (if different), GP, and any other relevant healthcare professional’s involved in your child’s care e.g. occupational therapist or community paediatrician. After each subsequent visit, a letter will be completed by the Orthoptist and given to parents, school and GP. At the final visit we also ask if the help we have provided has made any difference to the child at school. This helps us to observe any impact our service is having on the child’s school career. "Without this help following my daughters diagnosis I am not sure that she would have improved the way she has with her school work. This I believe has allowed her to now go onto college and study A-levels"
"This service has been of great value to my daughter, it has enabled her to receive further support and understanding from teachers in school. It has also helped her to understand why she finds some tasks difficult and now she can improve her reading skills to help her. Thank you." "My Son was discharged as he was nearly finished college and we were hoping college would help him get coloured glasses. Unfortunately the college will not help but he continues with the overlay and changes the background colour on the computers." "The support provided and advice given has helped my child's school understand his needs and better accommodate him. Ensuring he is seated in correct place, using coloured paper and overlay. This has reduced some of the stress my child feels at school when writing/reading. Highlighting this problem has been vital in understanding his problems and seeking solutions where possible." "Thank you for all your help. I really feel it has made a huge difference to my Son’s school work and most importantly his confidence. I am sure helping him so much at this age will make a difference to all his schooling." "My child was continually assessed and we felt that her difficulties although maybe minor compared to other diagnoses, the department were thorough, consistent and approachable. My Daughter was made to feel important and was helped to achieve her potential at school. I feel that although she has been discharged should we have any difficulties in the future, the department would still be there for us for any support/advice. Thank you." "Thank you for providing such a worthwhile and important service at Warrington. I will and already have recommended your service to others. My son is dyslexic, it is easy to get swamped and lost in a sea of trying to help but your report has proved pivotal in getting my Son’s high school involved and the recommendations are clear and achievable. Thank you." The team consists of fully qualified Orthoptists who have specialised in the area of assessing children with visual processing difficulties. Each Orthoptist has completed the relevant post graduate training and has extensive experience in this area. As Orthoptists, we are trained to assess patients of all ages and abilities, which enables us to be flexible with our approach and allows us to adapt our testing to suit individual needs. We are trained to communicate with children with specific learning difficulties such as dyslexia, dyspraxia and ASD. We work closely with school SENCO's and teachers in order to gain the best holistic care for each child. The waiting times can vary throughout the academic year depending on how many referrals we receive. All referrals are seen within the 18 week target time however typically the initial appointment is within 6 weeks. Referrals into this service can be done via your child’s GP or their school. If the school decide to refer a child they can also complete the school screening tool and send this with the referral. Please see the following link to the school screening questionnaire. Please contact Kathryn Whitfield who is the Lead Orthoptist for the Orthoptic Lead Visual Processing Difficulties Clinic at Warrington and Halton Hospitals.